Do you want your shower or mixer to be a little water-saving and well-being miracle? Do you want to have an extra-large overhead shower – or do you like washing your hair in the wash basin? Are you planning a new bathroom – or would you like to transform your old one into a comfort zone? Do you want to clean your mixer in an instant? Then let us help you: we enhance your life and give you greater comfort. 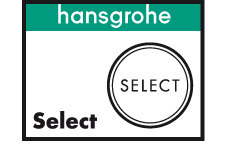 The Select button makes products in bathrooms and kitchens even more user-friendly. Whether you want to switch jet or shower types in the shower - or to control the water in your mixer with precision. 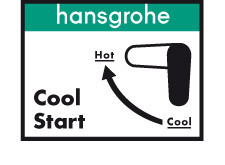 Basin mixers cleverly conserve resources with this environmentally friendly technology from Hansgrohe. 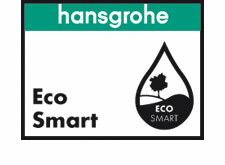 Hansgrohe mixers and showers with EcoSmart technology use up to 60% less water than conventional products – without any loss of comfort. This means you can reduce your water and energy costs and conserve valuable resources. With this shower technology, Hansgrohe mixes water with air. Experience the indulgence of feeling sparkling AirPower all over your skin while saving water at the same time. As water enriched with air makes the droplets plumper, lighter and softer. This means you use your water more efficiently. Generous proportions, sophisticated technology, intuitive operation. Outstanding design, high safety standards and considerably enhanced comfort: Hansgrohe mixers with this mark extend your ComfortZone. You really have to experience it for yourself: a truly lavish shower, with jet types that have that unashamedly feel-good factor. 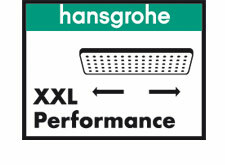 Hansgrohe's overhead showers, up to 600 mm in diameter, envelop you in a dreamy haze of water. Who really likes cleaning? 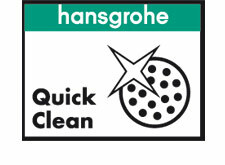 QuickClean from Hansgrohe enables you to rapidly remove limescale deposits on mixers and showers. Flexible silicone naps make sure of this. 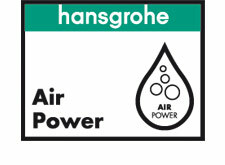 Beware of copies: this QuickClean logo is the only guarantee of genuine Hansgrohe quality! Do you want freedom of movement and choice in the bathroom? 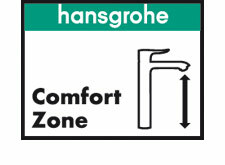 Then you are on the right track with the multi-talented Hansgrohe iBox universal. The space-saving multi-talent is a milestone in bathroom history.